Katko for Congress today released its second television advertisement, entitled, “Makes Things Happen”, featuring Teresa Woolson of Oswego County. 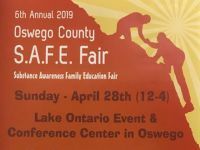 The ad features Teresa Woolson, an Oswego County mother who lost her son, Victor Orlando Woolson, at the young age of 19 after a fatal reaction to synthetic drugs. Since his death in 2012, Teresa has channeled her tragic loss into advocacy and has worked tirelessly on the local, state, and federal level in the fight to ban synthetic drugs and to raise awareness about the dangers of these poisons, which are often sold legally. Congressman John Katko met Teresa Woolson during his first run for public office in 2014. He joined her then in the fight to raise awareness in NY-24 and, once elected, brought that effort to Washington. This year, Congressman Katko was honored to host Teresa as his guest to the State of the Union. Following this visit, Congressman Katko was successful in ushering historic legislation through the House aimed at cracking down on synthetic substances. He remains committed to working with Teresa in her fight to end this epidemic and to save lives. "This is a parent's worst nightmare. To lose a child. He was my youngest. My baby. My only son. He didn't do anything illegal, yet he died from synthetic drugs. I don't want others to go through what I went through. As a mother, it's important to have people like John Katko in office fighting for the issues that are important. He's just real and open. For him to take me as the one guest for the State of the Union was just very overwhelming. I think we have problems in Albany and Washington. Most of them don't get it. John Katko is not part of the problem in Washington, he's part of the solution. He's had forums, and town hall meetings. John Katko is listening. I'm a registered Democrat, and I'm going to support John Katko. He takes on the issues, and he makes things happen." Congressman John Katko was first elected in November 2014 to represent the 24th Congressional District of New York, which includes Onondaga, Cayuga, and Wayne Counties and the western portion of Oswego County.